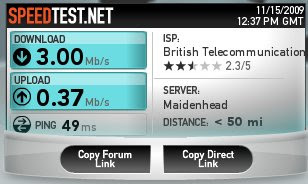 Brightwalton and Villages: Speedtest result amazing!! Yes I got full 3.00Mb/s download today, that is a record can anyone beat it?... from the Chaddleworth exchange, that is!.